An extraordinary performance with lots of trombonists. 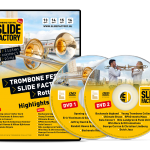 From amateur to professional, everyone joins in the Slide Factory Mega Trombone Ensemble. The ensemble plays the world premiere of a work by Trevor Grahl. He composed and collected a piece, called 150TBNS (One-hundred Fifty Trombones), especially for the festival and suitable for all levels. A guaranteed spectacle on the Deliplein in Rotterdam! 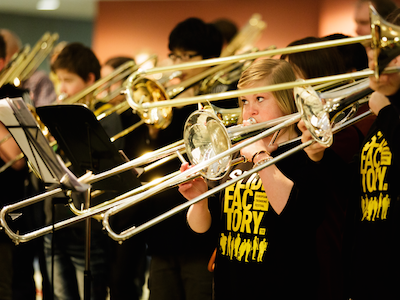 You can play along in the Mega Trombone Ensemble: take your trombone with you to the festival and go to the rehearsal at 16.00h in LP2. There are parts for every level. You can download your part here.